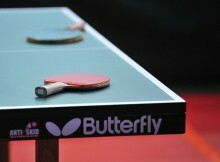 The main purpose of this site is to provide a conduit to Table Tennis within the County of Essex. The Association seeks to assist and encourage the formation of Table Tennis Leagues and clubs in the county of Essex and to promote the sport in every possible way. Essex Inter-League Competition results and tables are updated regularly and can be viewed by selecting the link from the menu bar at the top of any page. I know you are busy but could publish the latest Essex Rankings List after the trials which took place at the end of October. This is a message for Stuart Gibbs. Stuart: It is a long time since we met and played together and I trust you are well. I have just read your obituary about Bobby Stevens. I’d echo everything you said. he was not only a great table tennis player but also one of the kindest people in the game that I met. Happy to respond if you want to get in touch. A report has been added, with thanks to Arthur Clark. Thanks for your feedback. You highlight very good performances from our young up and coming players. Essex County is happy to publish any good news stories it receives on players, clubs, coaches from all parts of the county but it does need to receive reports from enthusiastic people such as yourself to be able to report these achievements. If you are able to provide a little more detail on the event we will publish. The county is currently looking to recruit a press and publicity officer to liaise across the county with leagues, clubs to make the site more active and reflective of all Table Tennis across the county.